Four members of that squad will also represent Australia in this iteration of the tournament being Alyssa Healy, Ellyse Perry, Elyse Villani and Rachael Haynes. I have wondered whether the fact the Caribbean is a place Australia has not played in much will have any impact – particularly considering the wild weather we have seen over the last couple of days, including torrential rain. They head in ranked at the top of the ICC T20 rankings and go into the tournament with convincing series wins over New Zealand and Pakistan in recent months. There is plenty to like about this Australian side. Let’s begin with the batting. 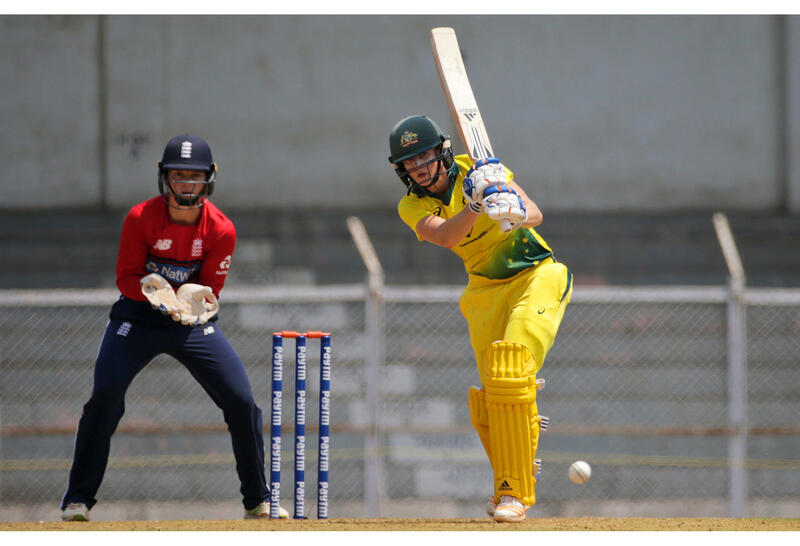 It demonstrates just how deep the Australian batting line up is when you consider that Ellyse Perry, the top-ranked ICC ODI batter has been playing at seven in those aforementioned series. There has been plenty of movement in the batting line up during recent games, but the top four of Healy, Beth Mooney, Ashleigh Gardner and Villani has remained consistent. This depth means that even if some members of the top order get out cheaply, there are plenty of reinforcements waiting who are more than capable of scoring runs. Healy also enters this tournament in exceptional form. In her final match in the series against Pakistan, she scored 67 from 41 deliveries. Even more impressive is that this is her fourth half-century from her last five T20 performances. It was her second half-century of that series – a series where she was named the best player. Her position at the top of the order has certainly been cemented alongside the very capable Beth Mooney. While there is plenty of experience in Australia’s batting line up, there are some new faces in the bowling attack with some of Australia’s most talented youngsters in Georgia Wareham, Tayla Vlaeminck and Sophie Molineaux all featuring. Molineaux performed exceptionally well in the 20-over series against Pakistan, taking 4 for 16 in her opening game and ending the series with seven wickets. I’m also very excited about seeing Meg Lanning lead this team after spending all of last summer on the sidelines with a shoulder injury. Even when Australia isn’t playing, I know I will be glued to the television. Thanks to the success of the Women’s Big Bash League and all the internationals that feature in this tournament, it’s easy to become familiar with players not in the Aussie team. Take South Africa for example who have seven players in their team that have played in the WBBL including Marizanne Kapp and Dane van Niekerk (Sydney Sixers), Mignon du Preez and Lizelle Lee (Melbourne Stars) and Laura Woolvardt (Brisbane Heat). South Africa are certainly a team I’ll be keeping an eye on throughout the tournament and particularly their captain in van Niekerk. She was been in formidable form over the last year. She took 4 for 0 against the West Indies in the World Cup last year and also batted consistently during South Africa’s tour of the Caribbean in September, scoring 45 not out, 53 and 77. Surprisingly, another team with some familiar faces is the Irish team. Kim Garth who played for the Sydney Sixers last summer is part of this squad, as is Celeste Raack who is a dual international and will be playing for the Tasmanian Roar in the WNCL and the Hobart Hurricanes this summer. Ireland are yet to win a match at a World T20 tournament, which demonstrates that there are different versions of success for each team competing in the tournament. And then there are the hosts – the West Indies featuring Stefanie Taylor from the Sydney Thunder, Deandra Dottin from the Brisbane Heat and Hayley Matthews from the Hobart Hurricanes. This team are the current defending champions (with 11 members of this squad retaining their spot) and I’m sure will be especially enthused about the opportunity to play at home. This team will also be well suited to the conditions boasting the number two ranked bowler in Hayley Matthews, 11th ranked Anisa Mohammed as well as Taylor. Their form may have been inconsistent as of late with a 2-0 series win over Sri Lanka in a T20 series, a 4-0 loss to New Zealand and then a draw with South Africa, but I am certainly not writing them off. I’m also looking forward to seeing the various teams deploy their spin attack. In the Caribbean, no doubt spin will be king and the teams with experienced spin bowlers may have a slight advantage, especially considering during last year’s WBBL we saw some batters troubled by the spinners. Domestic cricket also returns this weekend with Round 2 of the WNCL continuing. The NSW Breakers will play Western Australia on Friday and Victoria on Sunday.